On Sunday, January 28th we held our 38th Annual Parish Meeting. The parish hall was full of St. Theodorians and as always there was plenty of food to go around. We began with a presentation of our budget for 2018 and had discussion about trends and realities we were facing financially as a parish and answered questions from many of you. We elected three new vestry members, Blair Cromwell, David Wade, and Joyce Winter, from a pool of seven candidates. A sincere thank you to all of you who were willing to serve our parish. Following the meeting the new vestry met and adopted the 2018 budget. I also informed the vestry that I have asked Sue Scott to return as Sr. Warden and, thanks be to God, she has accepted. In my address to you I presented an initiative that I believe will help us reach out into our community sharing the love of God to those around us and will foster growth for our parish. The “Come and See” initiative is designed not just to welcome new members but to inspire us to continue the mission of Christ’s Church to turn outward, bringing Christ’s love to the World. You will be hearing much more about this initiative in the weeks and months to come. Now, we turn our faces toward Jerusalem with Christ as the season of Lent approaches. The rhythm is a familiar one to many of us. We begin with the imposition of ashes on Ash Wednesday, acknowledging our sinfulness and repenting. It begins the “40 Days” of penance we know as Lent. We will follow the Gospels through the ebb and flow of the season following Christ on the path to Jerusalem into our Holy Week observances and experience the gruesome Passion of Our Lord. And yes, ultimately we will arrive at the Cross on Good Friday and mourn His death before celebrating Easter Sunday’s Resurrection. This pattern is something many of us are familiar with, so familiar perhaps, that the moments are lost on us. 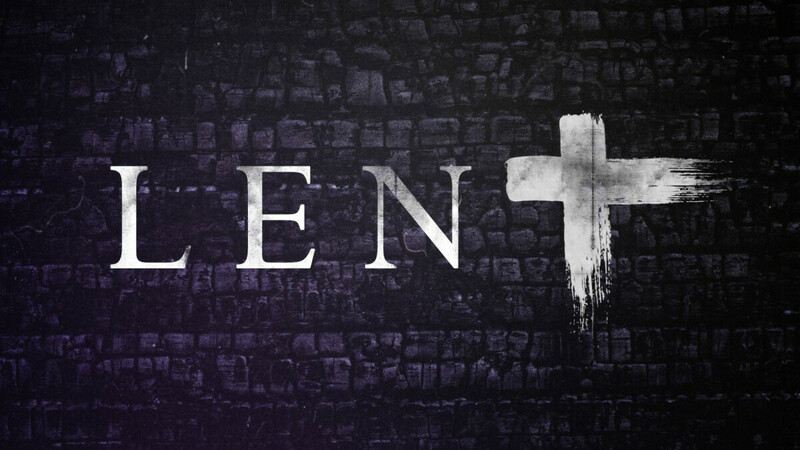 This journey and tradition of Lent is a time for deep reflection, preparation, and reconnecting with our God. The paschal mystery of the dying and rising again of Jesus Christ and our participation in the rhythm is paramount in the life of people who believe in the Gospel and follow the way of the Risen Lord. It is my sincere hope that you take the opportunity and find a way to participate both on a personal and communal level to get to know God more fully. Take time to allow your relationship with God to be nurtured. Spend time with the scriptures and in community with others who seek to know God. What kind of God loves so much as to take on the same struggles and hardships of life that we do - only to be betrayed and left to die on a cross and yet, even then, is full of love, mercy, and forgiveness? Prepare yourself for resurrection by making time daily to hear what God might be saying to you. Surely, it begins with “I Love You.” Allow the grit and grime of this world to be stripped away so that you might be made new again by that same love of God. Hear God’s claim on your life and know that God promises to be with you through whatever sorrow and joy you face.